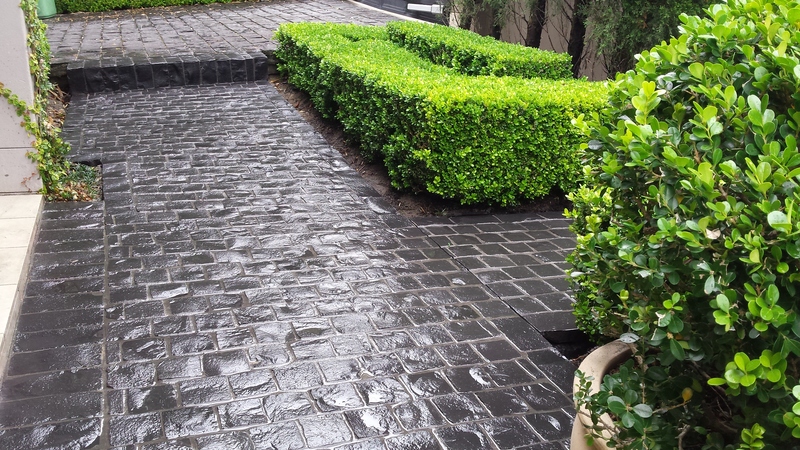 Cobblestone paving is a timeless classic that is so versatile that it works in almost any setting. 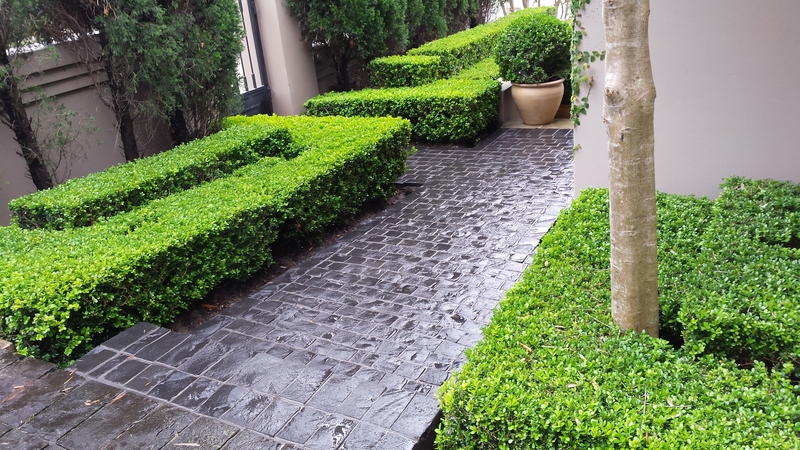 Here the black granite looks sharp and contrasts beautifully against the box hedge in this contemporary home in Sydney’s Hunter’s Hill. 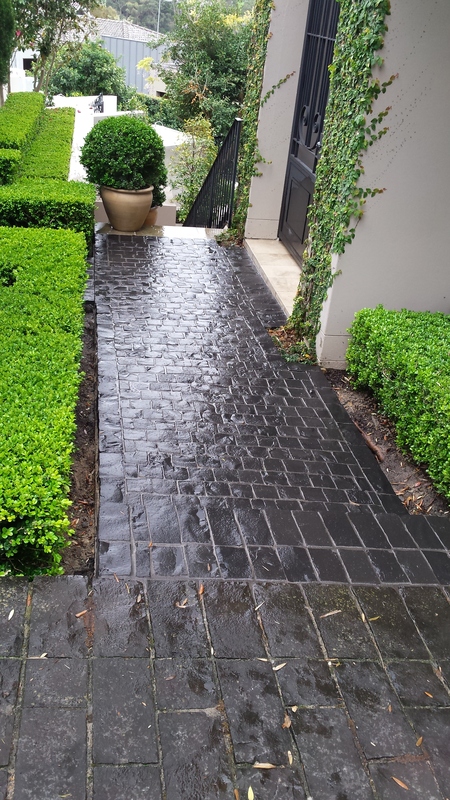 The cobblestone setts have a lovely tactile feel and these granite cobbles are harder than concrete and stain resistant making them a great long term option for paths and driveways.